Emotions penetrate every aspect of our lives. Interwoven with memory, attention, cognition, and decision making, they determine our interpersonal relations, our private life, the public sphere, and religious worship. Emotions had a particular significance also in ancient Greek culture, as Greek intellectuals were the first to theorize emotions in the Western world. A World of Emotions familiarizes the reader with the ubiquitous presence of emotions in Greek culture and life as well as their importance for an understanding of Greek art, literature, history, political life, society, and religion. It reveals how emotions are experienced, expressed, and aroused, how they are controlled or enslave us, how they are manipulated or evaluated. 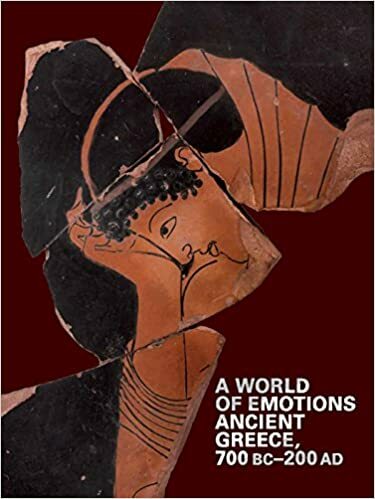 In doing so, it is hoped that this catalogue will trigger thoughts about the importance of emotions in our world, and show why the study of emotions in Classical Antiquity may help us to better understand our contemporary social and cultural environment. The catalogue A World of Emotions: Ancient Greece, 700 BC–200 AD accompanies a homonymous exhibition displaying a wide array of archeological finds from major museums and institutions in Greece, Europe, and North America. The exhibition is organized by the Onassis Foundation USA.